About 57 pounds of marijuana were found in a Franklin home early Saturday morning after police were called to the neighborhood because a vehicle was repeatedly ramming a parked car in a driveway. The number of bikie gangs with chapters operating inside Canberra has grown to five with the arrival of the notorious European outlaw motorcycle gang, Satudarah. The presence of the new gang had been flying under the public radar until members of ACT Policing's Taskforce Nemesis raided a house in Belconnen on Friday afternoon and arrested a 30-year-old man, identified as the president of Satudarah's new ACT chapter, and charged him with a series of violent offences. Satudarah members riding in Sydney. A Hells Angels biker has been acquitted of partially blinding another man in an attack after a jury in his second trial also failed to reach a verdict. Matthew Barnes, 48, denied causing grievous bodily harm with intent in the attack outside a Hastings pub in February 2016. A formal not guilty verdict was entered by the court after the prosecution said it would not seek a re-trial. A jury had also been dismissed following a trial in August last year. 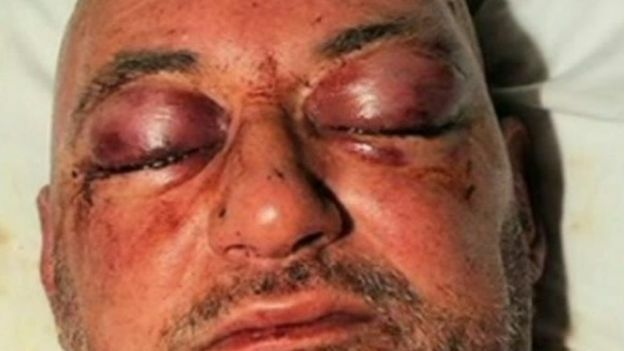 Mr Barnes, the president of the Sussex chapter of the Hells Angels, was accused of partially blinding Christopher Harrison after he refused to join the club. Oliver Wilkinson, 50, of St Leonards-on-Sea was acquitted of the same charge following the first trial. The search came a week after another member of the same biker gang was found dead outside their home 10 miles away. But authorities won’t say if there’s a connection. SPRING HILL — FBI agents searched the home of a Pasco County firefighter who is also a member of the Pagans Motorcycle Club on Wednesday, one week after another member of the biker gang was found fatally shot in his driveway. Agents served a search warrant at 13012 Spencer Court, said an FBI spokesperson. The property is owned by Glen Buzze, according to records.